Chet Evans currently serves as the Director of Information Systems for Hospice of the Chesapeake. He joined the organization in summer of 2015. Evans leads a team of professionals that focus on all aspects of the organization’s technology and information systems: electronic health record, voice and data communications, system integration, data center operations, technical support and data security. 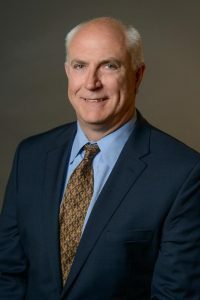 Prior to joining Hospice of the Chesapeake, Evans worked as an independent consultant and served from 2009 through 2013 as the Information Technology Director for Stantec Consulting Services, which was previously Greenhorne and O’Mara. Evans served in various progressive leadership roles with Greenhorne and O’Mara since 1990. He holds a Bachelor of Science degree from the University of Maryland in College Park, Maryland.